Asian Women' Film Festival yang akan berlangsung dari 15 hingga 20 Oktober 2009 ini di Berlin akan memberi penghargaan kepada Allahyarham Yasmin Ahmad apabila filem arahan beliau Talentime akan ditayangkan sebagai tayangan pembukaan festival filem tersebut. As a tribute to the great Malaysian film director Yasmin Ahmad, who passed away this year on July 25, the festival will open with her last film Talentime. 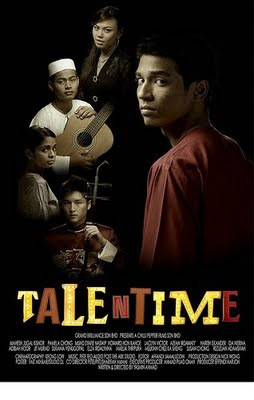 The setting of the film is a school competition where the complicated interplay between personal, religious and ethnic conflicts within the everyday multi-ethnic reality of Malaysia unfolds in a critical yet humorous way. Ahmad’s work has strongly influenced the themes and aesthetics of the new Malaysian cinema, and has introduced it to an international audience.